Contains 35 designs with comprehensive step-by-step instructions, including a pack of 60 pieces of origami paper to help you make every project in the book. 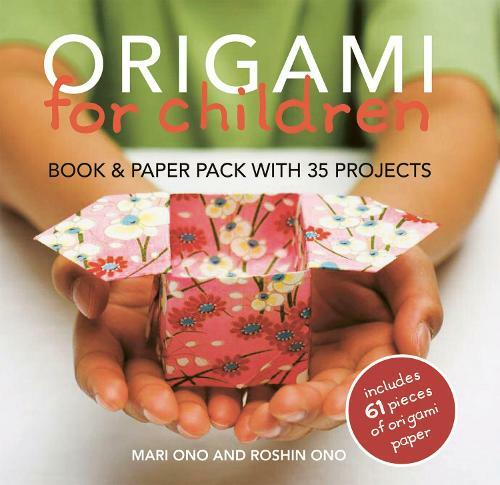 Origami for Children is the perfect introduction to origami, the fun Japanese papercraft for parents and children of all ages. Divided into six sections, the projects cover a range of themes, from classic origami designs such as animals to party decorations and modern vehicles. There is even a project showing how to create the classic Japanese arcade character Pacman. You will be amazed at how much you can create with a few simple folds. Every stage is described in a series of clear step-by-step photographs, showing all the techniques you will need to complete each of these great designs. Also included is a specially designed pack of origami paper with enough pieces to complete all the projects, so you can start making your own amazing creations straight away.